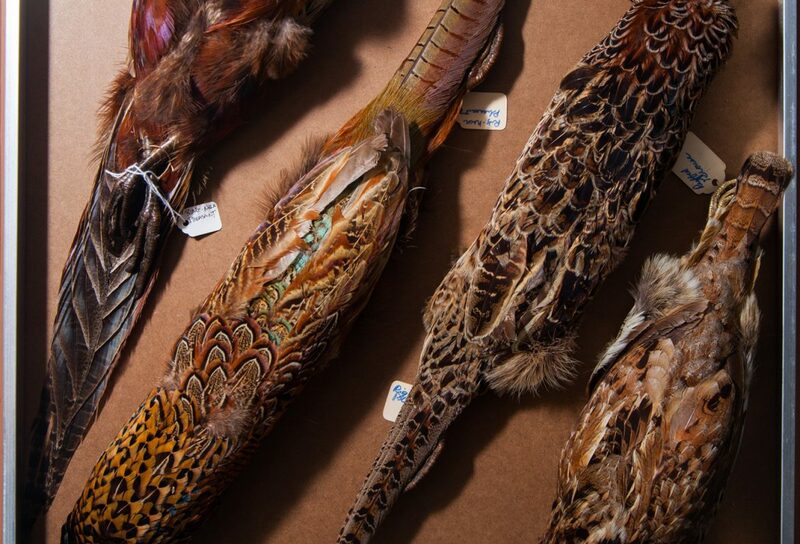 Photographing a century of biological ephemera at the Mass Audubon wildlife sanctuary. I found a bone at Felix Neck in February. It was poking out of the cold earth at the base of a tree, so I dislodged it and took it to the visitor center. 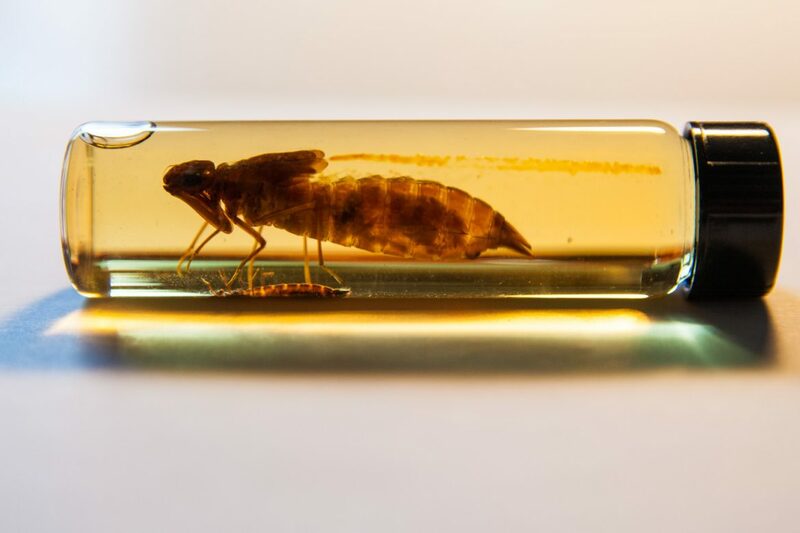 It was thick, about eight inches long, and had shallow, perpendicular scrapes along its length where rodents had gnawed it for calcium. My discovery of mortal remains didn’t surprise the staff. People find things there all the time. 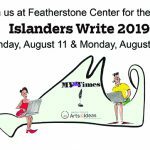 In fact, people find things all over the Island all the time, and many of them bring what they find to the Audubon building on the little peninsula jutting into Sengekontacket. In May, I found my bone again, in a cabinet upstairs at Felix Neck. 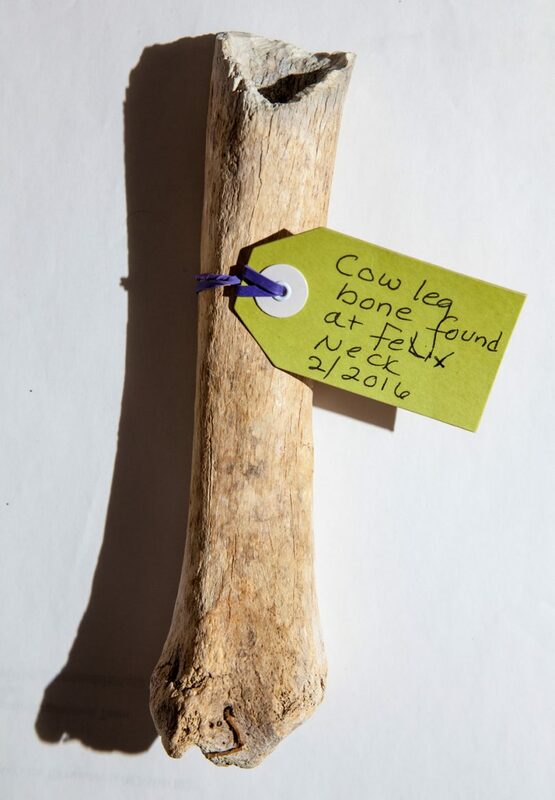 It had a handwritten tag on it that identified it as the leg bone of a cow. It was stored with a trove of other objects produced by the churn of Island landscapes, the evidence of a million intertwined processes. One hundred and twenty-five miles of tidal shoreline begets a commensurate amount of ecological flotsam and jetsam, not to mention what is found inland in forest, field, and stream. As maritime lawyers differentiate between objects found at sea, so too can parsers of the Island’s biological debris guess at how it got there: The tern whose skeleton is found on a beach, for example, did not mean to leave it there (flotsam), but a gall wasp, having spent the spring cocooned in the mutated leaf of an oak tree, ditches domicile for open breezes by Memorial Day and leaves its crunchy orb (jetsam) for woods walkers and would-be naturalists to puzzle over. Susan worked with bones and owl pellets in school systems for a long time, and volunteered to organize some educational materials at Felix Neck. 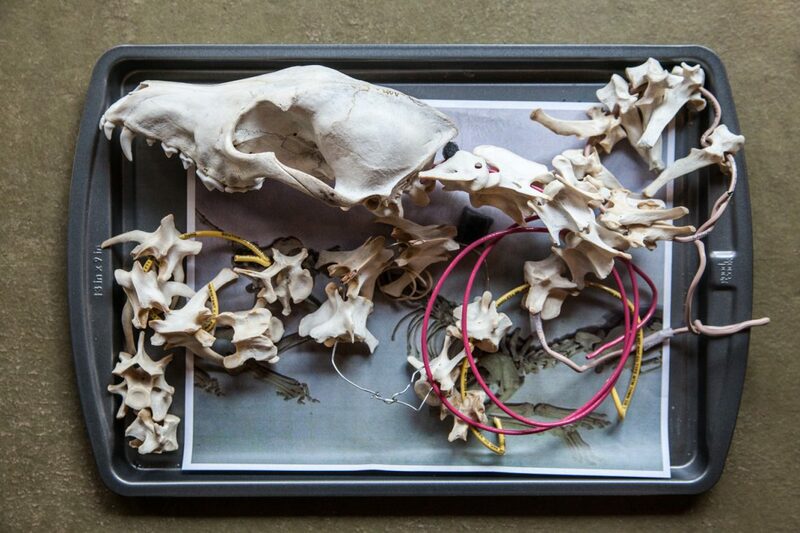 “I was supposed to be cleaning up the downstairs discovery room,” she explains, “and there was a seal humerus in the woodland box, and I said, ‘This is in the wrong box.’” Since then, Susan’s been making headway on a loose kind of wildlife forensics. 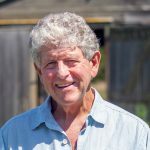 The product of these efforts by volunteers and staff is a set of clues, in delicate boxes upstairs and hands-on exhibits downstairs, that hint at the rich ecological mosaic to be found on Martha’s Vineyard. It’s a glimpse at the tangible, tooth-and-claw physicality of Island nature that you don’t get from binoculars. 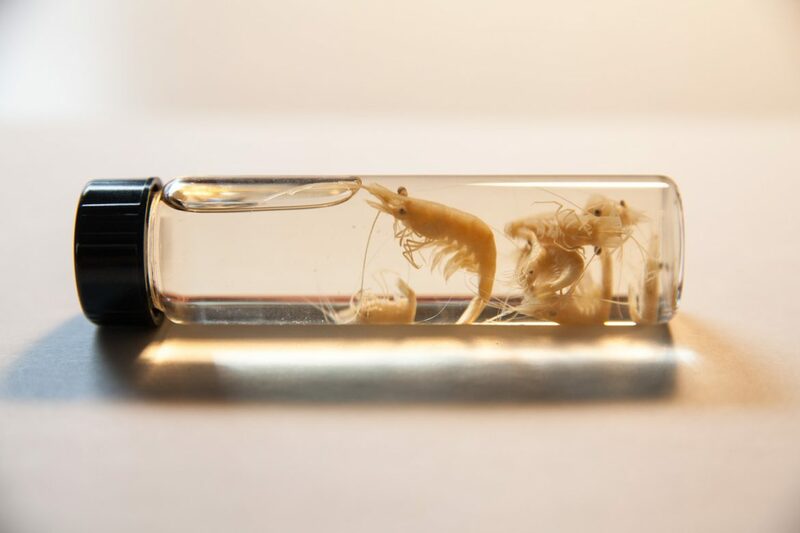 It’s a rabbit hole, in other words, an opportunity to unravel the individual mysteries of a thousand little taxonomic oddities, and find new clarity in familiar animals. 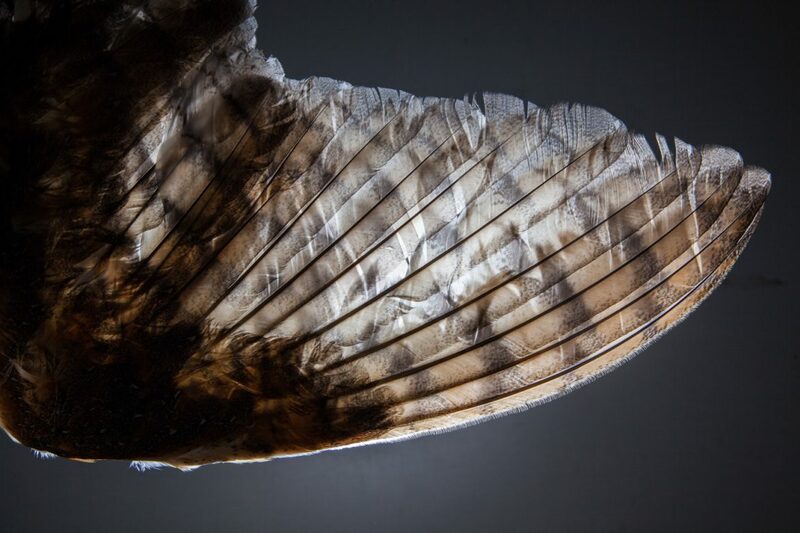 The light, curved bone of a mystery bird; a glimmering vial of fairy shrimp; a small container of seagull vomit. Labeled boxes beckon or repulse, depending on your outlook. 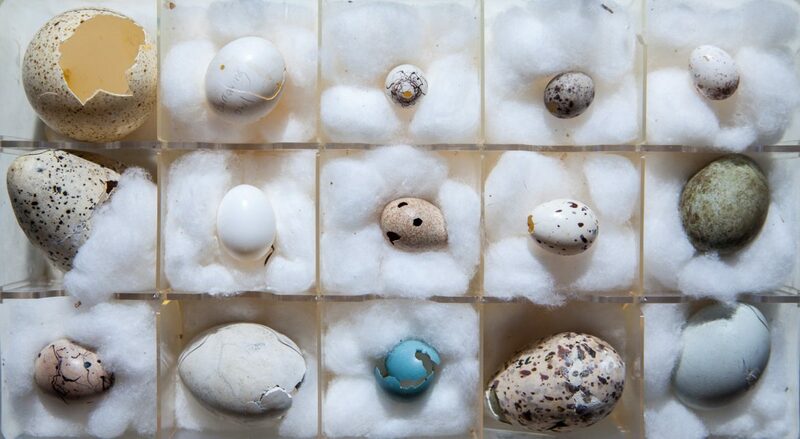 “Bird beaks and feet,” reads one, next to “raccoon skulls” and “turtle carapaces.” Cartons of wild bird eggs are saturated with the intimate details of an otherwise forbidden sight. The specimens are also a trail of historical bread crumbs. My cow bone dates from when Felix Neck was a farmstead, worked and tilled and roamed by domestic animals. 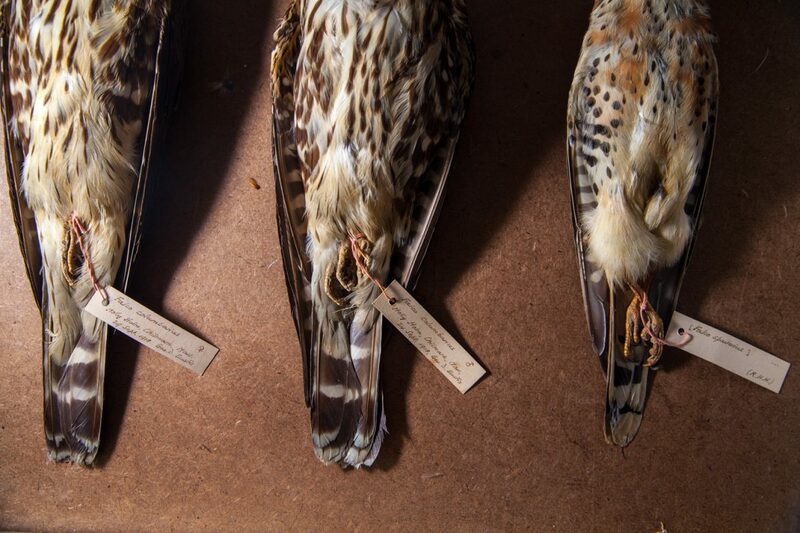 A kestrel specimen from Chilmark, stinking of arsenic and formaldehyde, flew its last flight in 1918, the same year as the Migratory Bird Treaty Act. The taxidermied falcon alludes to a different era of ornithology, when John James Audubon, the conservationist for whom Mass Audubon is named, shot the birds that he saw so he could pose and paint them. 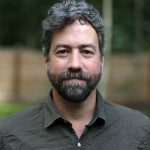 Osprey wings and carcasses from the 1920s, the 1960s, and the 1990s chart the species’ journey into the depths of a habitat crisis, and, under the helpful influence of Gus Ben David, the sanctuary’s former director, back up to their booming Island population today. 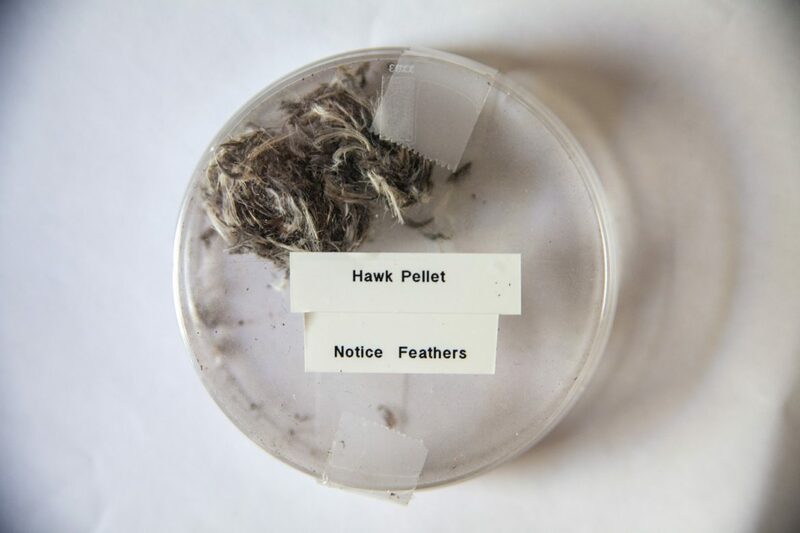 Unlike the sanctuary itself, which does its best to present native Island ecosystems, the collection in the cabinet reflects the contingencies of what actually manages to end up here. 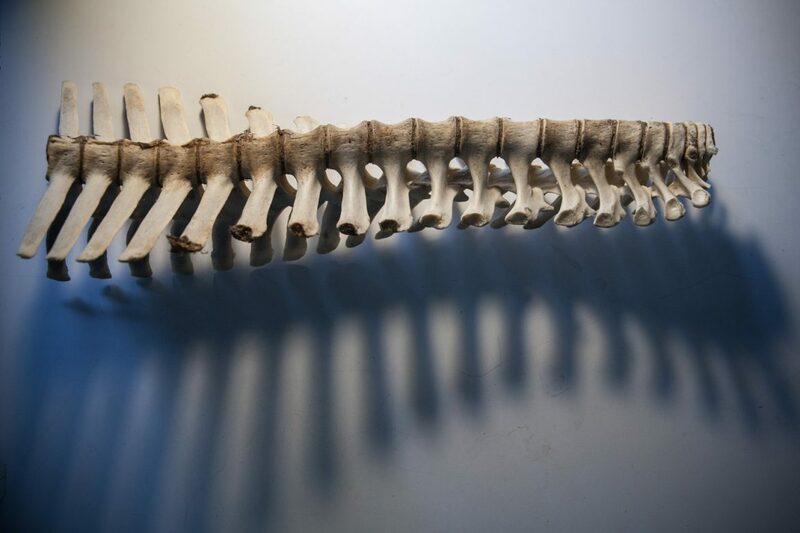 Susan Straight is currently at work on the skeleton of a coyote whose carcass washed ashore at Lambert’s Cove in 2014, presumably from one of the Elizabeth Islands. She’s boiled the bones, and is using wire to reassemble the skeleton as a teaching tool. This series of photographs is my response to that prompt, and a chance to frame the question another way: What do these items make you wonder about?